The information presented on this page was originally released on February 17, 2017. It may not be outdated, but please search our site for more current information. If you plan to quote or reference this information in a publication, please check with the Extension specialist or author before proceeding. Representatives from 15 agricultural commodities met with Extension agents and Mississippi Agricultural and Forestry Experiment Station researchers to learn about studies that are underway and to hear the latest recommendations in their fields. In return, producers expressed some of their greatest challenges or concerns that MSU could help address. Dale Weaver of Noxubee County took part in the grain crops break-out session. He farms corn, soybeans and cotton near Prairie Point and has been attending these meetings for about six years. “What we are doing is steering research. It needs to be applicable to what we are doing on the farm -- something that will benefit producers,” Weaver said. Some of the issues that came from Weaver’s group included the need for more information on the economics of cover crops, which are overwintering plants that protect water quality, prevent soil erosion or provide soil fertility benefits. The group also requested more studies on herbicide use on soybeans and the use of poultry litter as fertilizer. Other commodity groups also made a variety of requests. Apiculture, or beekeeping, producers want MSU to help facilitate regional meetings. They want to use technologies, such as webinars, to help improve their abilities. The group requested a Master Beekeeping Program that would further train beekeepers, as well as the addition of a bee component to the 4-H Youth Development Program. Aquaculture producers requested continued help with management of three specific pathogens affecting their industry: Aeromonas, a bacterial pathogen that causes the most trouble; and two parasites, Bolbophorous and Hennyguya. 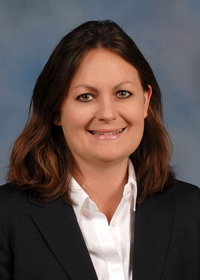 Beef producers were represented by Dr. Nancy Jackson, a large-animal veterinarian and incoming president of the Mississippi Cattlemen’s Association. She said the beef commodity advisory board asked for research on cattle adapted to fescue, more information on marketing fed beef, and for research and extension programs related to financial efficiency and sustainability related to cow size, forages, and budgeting. 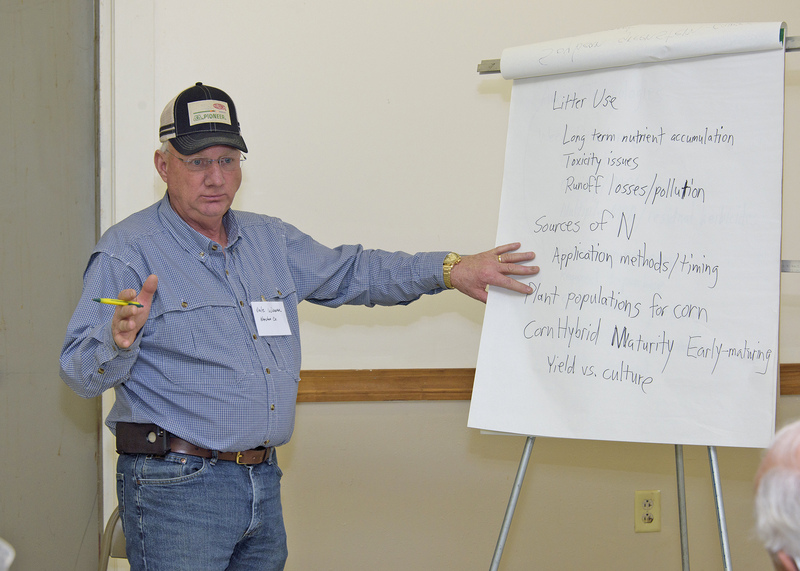 Cotton producers consider education on new herbicide technologies a top priority. Producer representative Joe Camp also requested more research on benefits of no-till and cover crops in cotton. Dairy producer Jeremy Graham said youth issues top his commodity group’s list. Horses need to be respected for the economic value they bring to the state, according to the equine group. Producers requested horsemanship clinics for young people, promotion of horse projects in 4-H, and a return to live horse auctions at MSU, as opposed to online sales. Forestry producers requested information to educate local elected officials about the benefits of forestry and logging activities. They also requested guidance on teaching forestry producers to interact with economic developers to attract industry. The group wants more information for landowners who need to thin timber stands. Goat and sheep producers requested assistance developing marketing strategies. Additionally, they requested guidance for parasite control and tools to address forage and nutrition concerns. Peanut producers requested studies on early-maturing varieties with disease tolerance and resistance. They want MSU to continue with peanut fungicide research, and they requested a pocket reference chart for peanut fungicides. Sweet potato grower Jamie Earp said producers need help to avoid skinning and postharvest breakdown. They want help expanding the number of growers who produce certified seed. Because growing sweet potatoes is labor-intensive, producers asked MSU to help them with economic assessment on labor issues. Swine producers remain concerned about feral hog control. They also want MSU to help make hobby farmers or families more successful in raising pigs for local consumption. Turf growers asked for flexible soil test recommendations, more research into dollarspot in areas fertilized with slow-released nitrogen, additional publications and advice on irrigation timing and design, and continued administrative support for the Deep South Turf Expo. Fruit, vegetable and nut growers requested field and high-tunnel tomato variety research, as well as guidance on irrigation, nutrient management, and issues related to the economics and timing of fertilizer placement under plastic. Growers want more information on reduced tillage using methods such as silage tarps, straw mulching and pine needles. The North Mississippi Producer Advisory Council is held annually on the third Thursday in February in Verona. Counties participating include Alcorn, Benton, Calhoun, Chickasaw, Choctaw, Clay, Itawamba, Lafayette, Lee, Lowndes, Marshall, Monroe, Noxubee, Oktibbeha, Pontotoc, Prentiss, Tippah, Tishomingo, Union, Webster, Winston and Yalobusha.